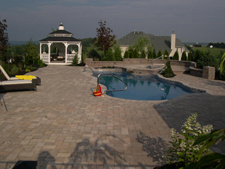 Outdoor Paradise has the ability to work with you and your pool company to create the back yard of your dreams. 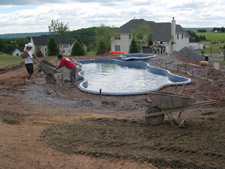 If the pool company destroys your yard and your dreams, leaving you completely frustrated, Outdoor Paradise can help. 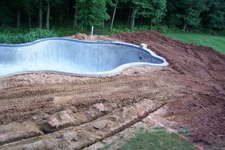 We can create a design around your new pool from the coping out to the yard. 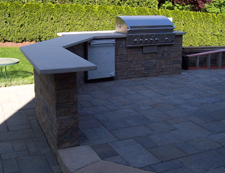 We will install patio spaces around your new pool to give you beautiful areas to entertain. We can help choose plants to compliment the pool and create your own personal oasis. 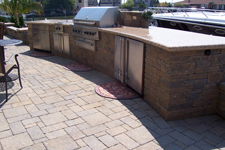 Some of the popular spaces we create are Outdoor Kitchens. 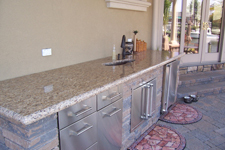 Using all the materials available, we can create any shape or size area to suit your needs; Decorative wall stones to cultured stone for the base, with granite or lime stone counters. We will make your yard the envy of the neighborhood. The possibilities are endless. 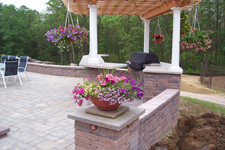 Outdoor Paradise will complete your project and make your dreams of having a back yard oasis a reality.